He explained that for the fiduciary entrusted to do the accounting for the deceased’s estate or trust, there are many details they need to report. SAN FRANCISCO, CALIFORNIA, USA, April 8, 2019 /EINPresswire.com/ -- Charles Triay, a probate attorney in California, offered many valuable tips for anyone who finds themselves in the position of being a fiduciary in an online interview. He recently spoke with AskTheLawyers.com™ via web interview on some of the aspects of fiduciary work with respect to trust and probate law. He explained that for the fiduciary entrusted to do the accounting for the deceased’s estate or trust, there are many details they need to report. He said that a family member is typically chosen to be a fiduciary, and if not, the court may assign someone else. This person must perform the accounting for a trust at least once a year. Triay stressed that it’s important to understand how big a job it is and just how much accountability a fiduciary will be responsible for. A fiduciary might hire a firm to do the accounting to minimize the possibility that there will be lawsuits or issues, and sometimes lawyers will have to go to court just to force a fiduciary to do the job. He said that if there is a dispute about the accounting or other matter involving the trust or estate, seek help right away. “Get an attorney, get an accountant, because people fumble around and they waste a lot of time and a lot of money before they get things on the right track,” Triay said. He also stressed the importance of hiring an attorney with experience in probate litigation. 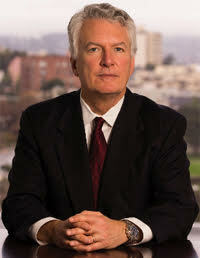 Charles Triay is a probate litigation attorney based in the San Francisco Bay area. He can be reached at 888-594-9733.